Search engine optimization remains one of the most equitable and major ways for brands large and small to improve visibility, sell products and grow their presences. 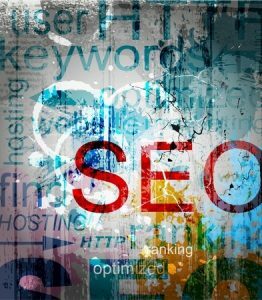 While the nature of SEO has continued to evolve over the years, the main tenets of the art remain the same. Brands must create valuable content, build links, target relevant niches and market themselves as professional and/or desirable entities. Nevertheless, many still do not understand the main phases of producing content that is SEO-friendly. Today, we’ll talk about the delicate process of building content that search engines and people alike will love. Before you can create any good SEO content, you must first decide what it is you’re going to cover. Depending on your brand and/or niche, you may have a wide variety of topics and angles to consider. Ultimately, this part of the process relies on evaluating various elements such as your audience’s preferences, current events and overall trends. After pinging search engines and your analytics for more information, you can then begin to narrow down which topics are suitable for your next piece of content. For some, this feels like the most difficult part of the process because it requires a bit of subjective analysis and consideration to get started. Once you have decided on the topic and angle for your content, the process then shifts to important SEO considerations. One example of this is keyword analysis: you’ll need to do a bit of research to see which keywords and phrases are best targeted based on the content’s angle and focus. Another consideration for optimal SEO will require you to inspect your competition’s content: what subjects are they covering, which keywords are they targeting and how well is each piece of their content doing? With this information in hand, you’ll have a better idea of what to target (and what to avoid) in your piece. With most of the technical and abstract considerations handled, the process moves to the actual creation phase. It is here that you’ll want to brainstorm in order to develop the best format possible for your content. You’ll consider introductions and conclusions, the main points of the content and any minor points or sub-headings that would be vital components to include. Once you’ve established the framework for the content, filling in the blanks is quite easy. Before you start pinging search engines with your new content, however, you’ll want to do a bit more analysis. After all of the major content creation is done, you’ll want to give your content one more thorough evaluation before publishing and marketing it. In order to get the most SEO bang for your buck, be sure to run the content through an anti-plagiarizing program so that there are no potential penalties thrown at you. In addition, carefully evaluate the content for any spelling or grammatical errors. If at all possible, have a friend look over the content as well for any additional input or recommended changes. Creating quality content is a painstaking process, but easily replicable once you understand the key steps. By picking the right topic, carefully optimizing for SEO, pouring your creativity into the process and analyzing it before publication, you’ll definitely be able to produce one hot piece after another that your audience will love.